Grab and Go Sweet Treats! Slush, Dippin' Dots, Pretzels & More! 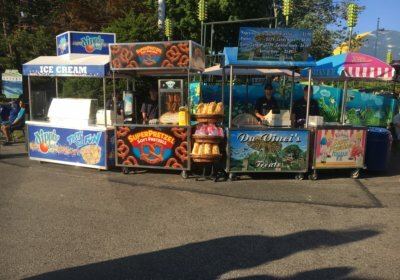 Visit any one of our quick serve mobile concession stands to snag a warm pretzel, cotton candy, caramel apple and so much more! Our mobile carts are located throughout the Park and are never more than an arms length away!